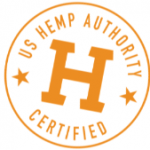 Certification Seal an even prouder symbol of safety and legality. Our web site provides details, a timetable for action and an easy to use Web form to submit your comments. Our first deadline is April 15 – initial suggestions for changes and additions to the Guidance Plan – so please act soon. These comments will be used by the Technical Committee to create the draft of Guidance Plan 2.0, and there will be a second opportunity to submit comments to that draft commencing on June 1. Please participate now so we have a great draft in June!